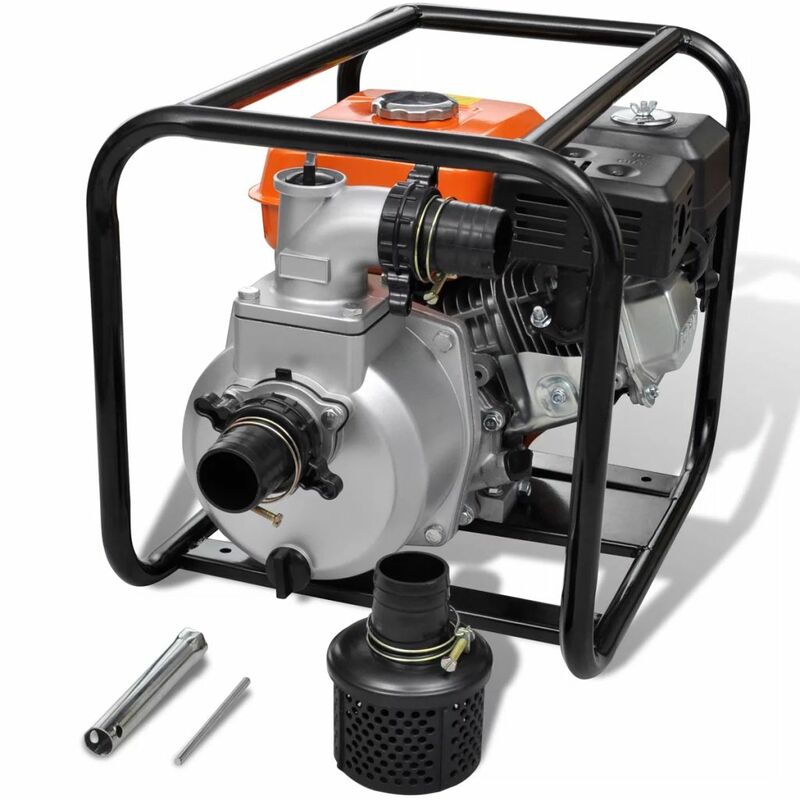 This petrol engine water pump features a 3.6L fuel tank capacity, with a rated power of 5.5 HP and rated speed of 3600rpm. The mounting accessories are also included. 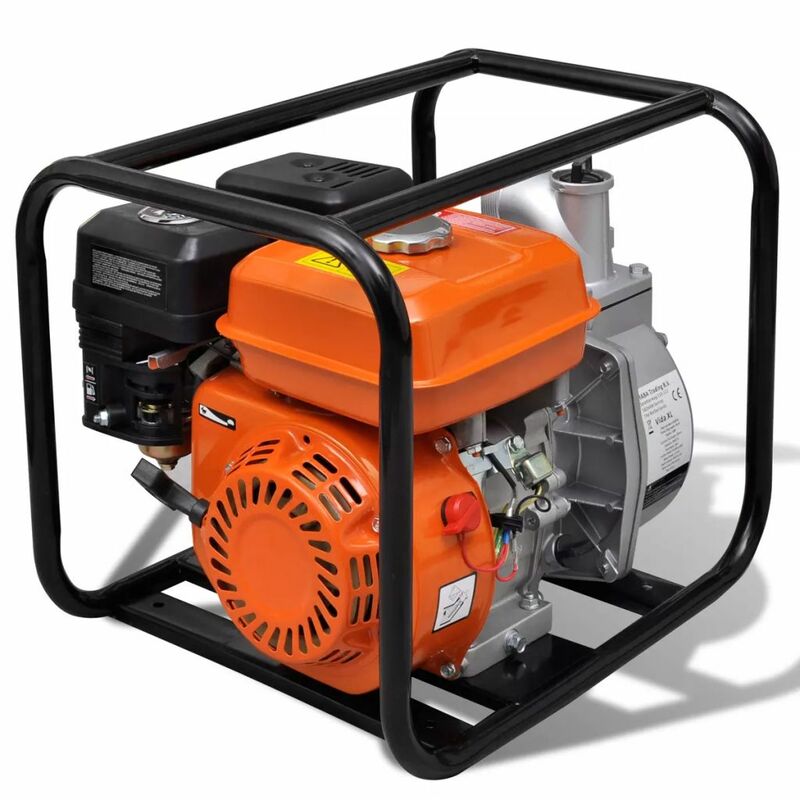 This powerful water pump is a perfect choice for bringing or draining water to meet your garden water supply as well as irrigation applications. 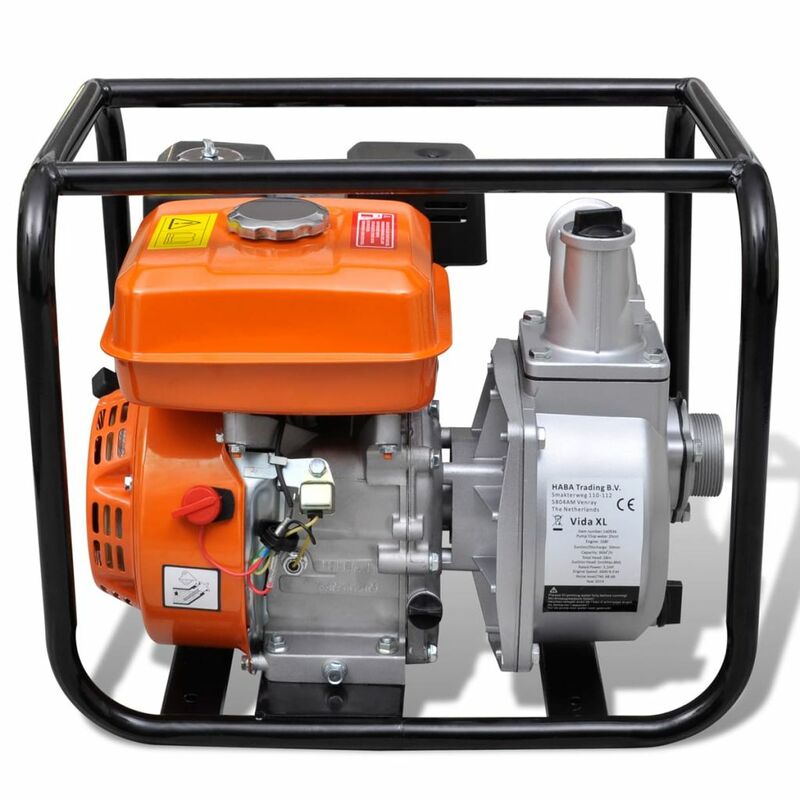 We provide a strong steel frame to protect the pump from accidental damage. 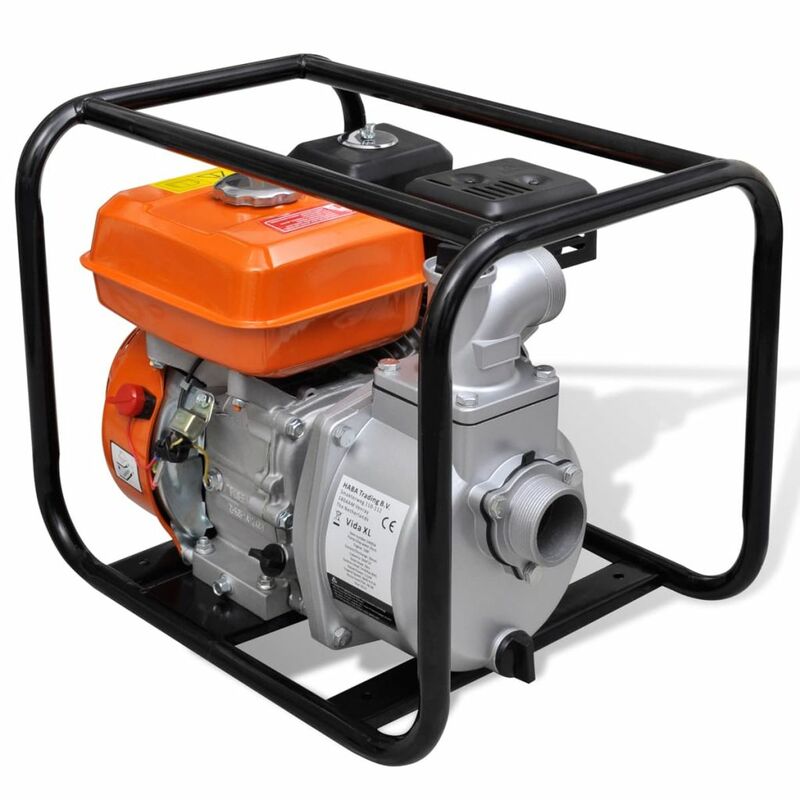 The frame also makes the whole pump easy to carry. 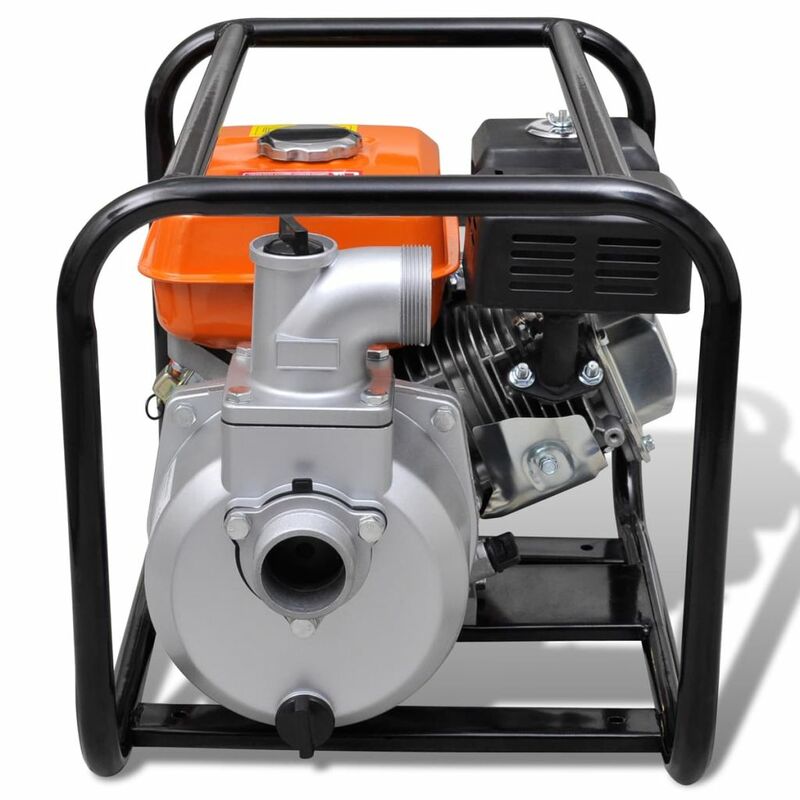 With a 5.5 HP petrol engine, the water pump will achieve the maximum delivery height of 28 m, offering a high flow rate up to 36 m³ / h.
You are able to start up the machine by turning the switch on and pulling the starting cord. Then it will help you transfer large volumes of water quickly and effortlessly. 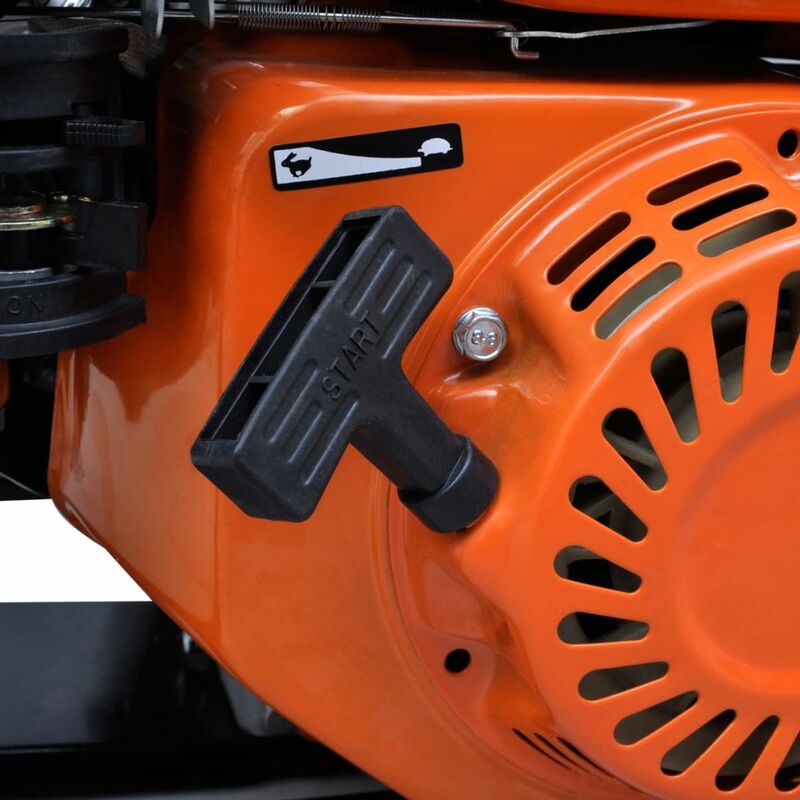 Necessary mounting accessories are included in the delivery for convenience. IMPORTANT NOTE: This item includes a service to ground level with reasonably good access only. Couriers will not conduct any multi-level or upstairs deliveries for this item. Delivery service for this item includes a one-man job unless specified or organized otherwise at your own additional cost. Your assistance may be required to help the driver unload.